Young Children is NAEYC’s award-winning peer-reviewed journal. Each issue combines a strong research base with practical suggestions for early childhood educators. 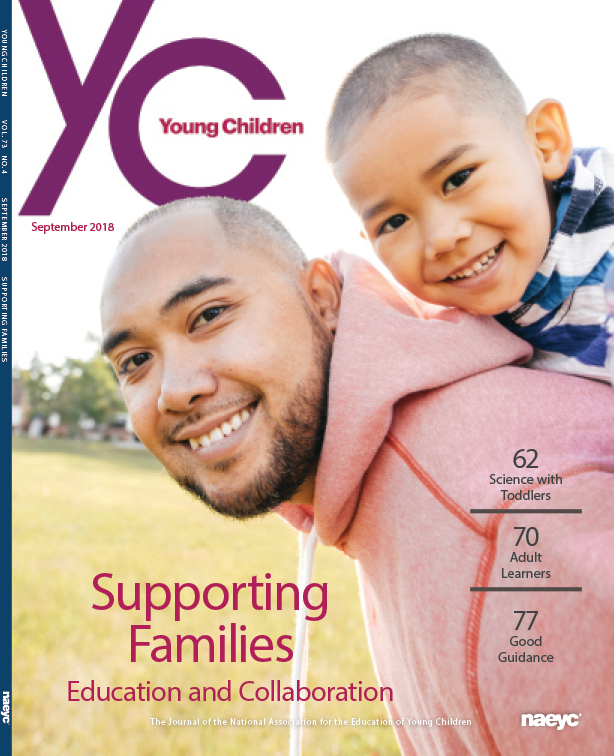 The September issue of Young Children includes a cluster of articles on supporting families with education and collaboration. Additional articles in this issue offer an inside look at science with toddlers, adult learners, and good guidance.